It is not often that a film’s title corresponds with what watching it makes you feel like, so the name Death Wish should serve as a warning sign to anyone planning on checking it out. 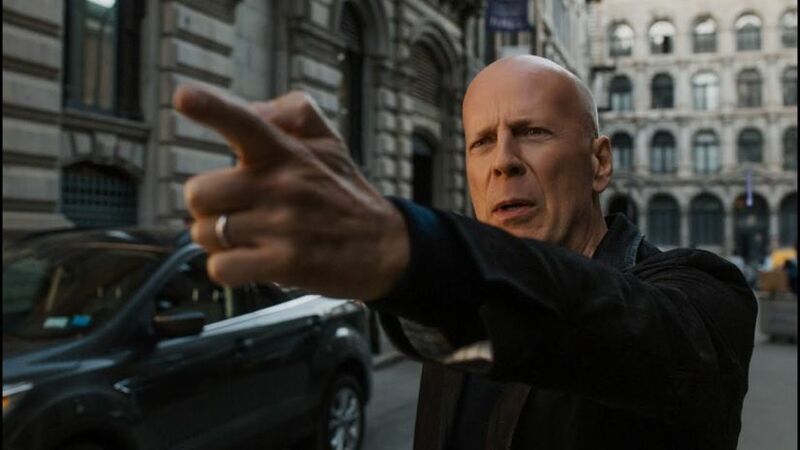 A remake of the 1974 Charles Bronson film, Death Wish is woefully directed and performed, tone deaf, plodding, and also a vastly irritating waste of time. The film is directed by Eli Roth and that should answer any query regarding the cavernously low quality of the film. The story remains the same – a father (Bruce Willis) is distraught after his wife and daughter are assaulted by a gang of crooks. Naturally, he goes out to exact revenge and spares to expense in finding the most over the top ways to do so, especially because the cops don’t want to help. Roth tries to ‘update’ the 80s film with contemporary elements like viral videos and radio podcasts to render some sort of social commentary but it all keeps getting more and more idiotic as any semblance of logic is vehemently thrown out the window. The juxtaposition of the kind doctor turning into a gun trotting vengeful man is silly on an idea level but Roth attempts a straightforward treatment, as if the many ludicrous things happening on the screen can actually happen in real life. This is made worse by the soap opera style emotional manipulation which tries to justify our hero’s vigilante like behaviour. Casting Willis in this role should ideally have been perfect considering he is an action hero from the late 80s in a late 80s style movie but he seems to render the interest levels of someone who was forced to study a tax form. Even when he is firing twelve rounds from a machine gun, he looks so bored, as if he has been conned to do the film or as a favour to someone he really hates. Then there is the issue of awful timing. We are currently in an era where gun laws are being discussed all over the world after various school shootings in the US so the white American hero from the 80s easily procuring guns to polish off a few baddies does not exactly bode well. And this is only because the gunfire is glorified as a piece of entertainment here, rather than shown as a tool for murder in a story about death. Roth is a fascinating filmmaker. This is a guy who revels in bad taste and tacky cinema but does not really subvert the stuff that he likes to allegedly satirise. This is a dude who un-ironically makes trashy movies and they are all so serious in their execution it makes you wonder how he convinces his producers to cater to his indulgences so often. Over the past decade, he has made some of the worst films of all time like the second Hostel movie, The Green Inferno and Knock Knock; and with Death Wish, he continues to establish himself as the aficionado of cinematic muck. This is rather strange considering how interesting his first film Cabin Fever was – it was a throwback to bad slasher films but also skewered the genre in darkly funny ways. If you are looking for fun, you are better off popping in the DVD of that film rather than wasting any time with this one.